The colder weather has arrived to Bruny and I have been making lots of soups and stews. Mostly from left over roasts, a great way to use yesterdays dinner and save money as well as cutting down on food waste. Based on some of the latest research, Australians throw away over $8 billion of food in their household waste per year. My household has very little food waste and whatever there is goes into the worm farm or to the chickens. 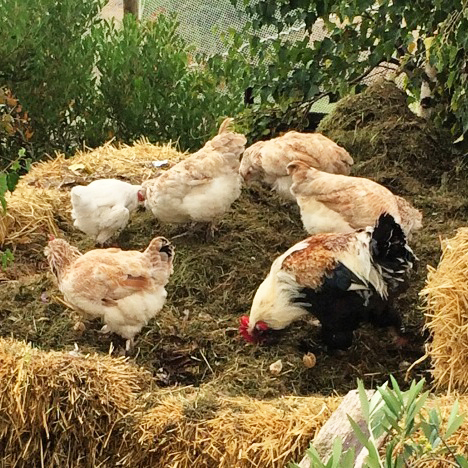 The waste gets recycled by the worms into fertiliser and the chickens turn it into healthy eggs and the best compost. I had some milk -fed free range organic goat meat from a local producer and made a pot roast that melted in the mouth. I put a very large bouquet of garni on the bottom of a heavy cast iron pot and placed a leg of goat rubbed with ground sea salt and ground black pepper (you can use beef or lamb instead) on-top. Then added 2 cups red wine, 2 cups of water, a few more sprigs of rosemary, a few cumin seeds and 2 sticks of cinnamon. This should be cooked slowly, taken on 150 deg in the oven for at least 2 -3 hours depending on the size of your roast. Once cooked remove the meat for your meal and perhaps a few slices for a cold meat snack. 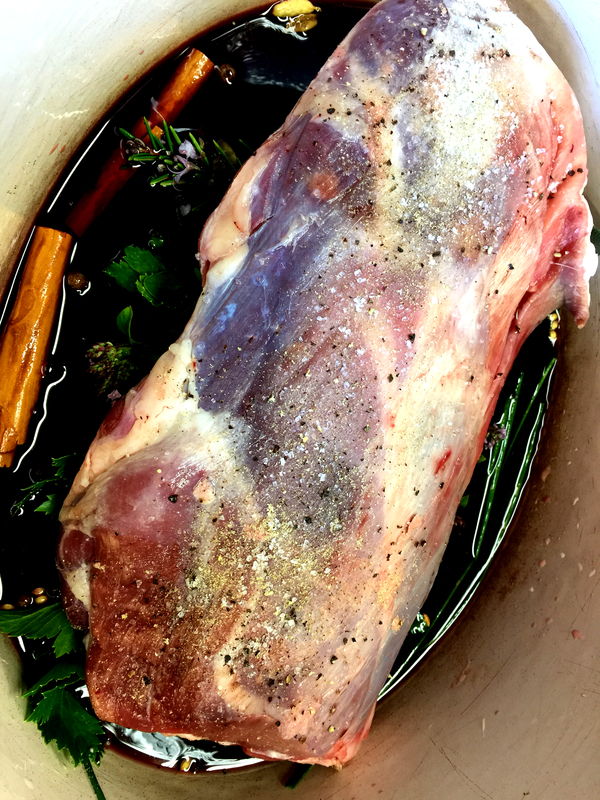 Using the same pot place it on the hob with the left-over bones and make a stock using the method in the recipe section of this blog. The base stock is for vegetables but it is only a base and you can add any meat, chicken, or fish to this recipe. After cooking allow the stock to cool then strain the contents of the pot into a large bowl, remove any remaining meat from the bones and put aside for now. In a clean dry pot sweat off a few green tops of spring onions and chives in a table spoon of olive oil, add a chopped red and green capsicum and a couple of chillies if you like a bit of heat. Continue to sweat these vegetables off then deglaze with the stock. 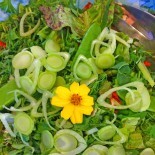 Add your chopped garden vegetables, carrots, tomatoes, celariac, potatoes and a few red adzuki beans, whole or ground cumin, asafoetida, fresh ground rock salt, black pepper, a stick of lovage and a heaped teaspoon of turmeric. 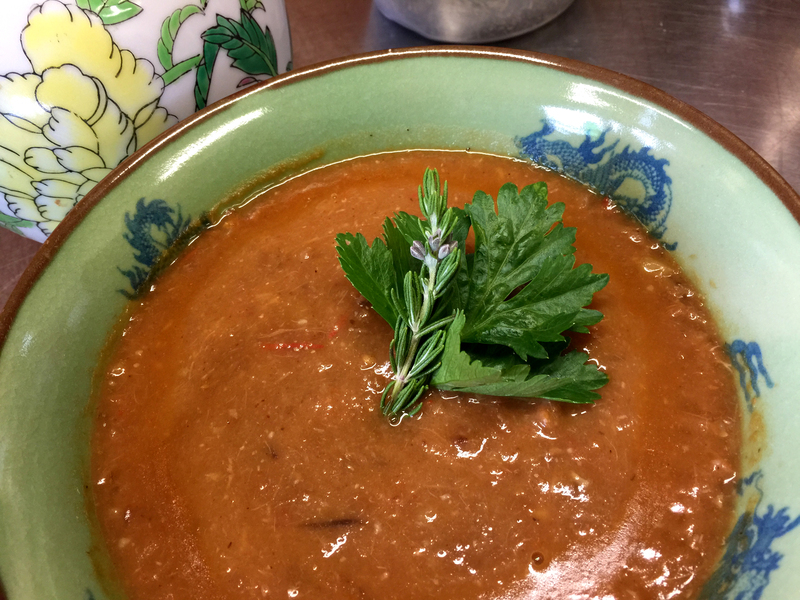 When the soup is cooked blend and serve hot with some gluten free focaccia. The full recipe is in the recipe pages of this blog. This entry was posted on April 23, 2015 by Mhrylyn Hanson-Wallis van Dooren in Cooking, Diabetic Diet,, Fodmap, Fodmap Diet, Fodmap Friendly, Food, Gardening, gluten intolerance, lactose intolerance, Low Fodmap, Low Fodmap Cooking, Low Fodmap Diet, Low Fodmap Recipes, Recipes, Soups and tagged cooking, diabetic diet, food, food waste, gluten free diet, lactose free diet, lactose intolerant, low fodmap, low fodmap cooking, low fodmap foods, low fodmap recipes, low-fodmap-diet, pot roast, recipes.